The Carolina Panthers knew someone at receiver had to step up with the preseason injury to Kelvin Benjamin. 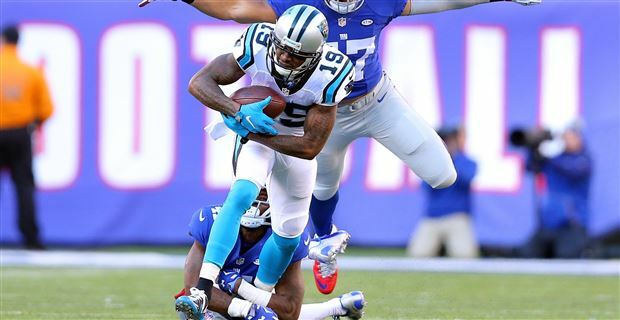 Little did they know that Ted Ginn Jr. would become the first Carolina wide out to haul in 10 touchdowns since former Panther great Steve Smith did it in 2005. But that's exactly what Ginn accomplished with his 14-yard touchdown reception in the third quarter of Sunday's game against the Giants. Ginn hauled in a 3-yard scoring reception to get the scoring started in the first quarter as well. Quite a season for a receiver that many other teams never believed in.